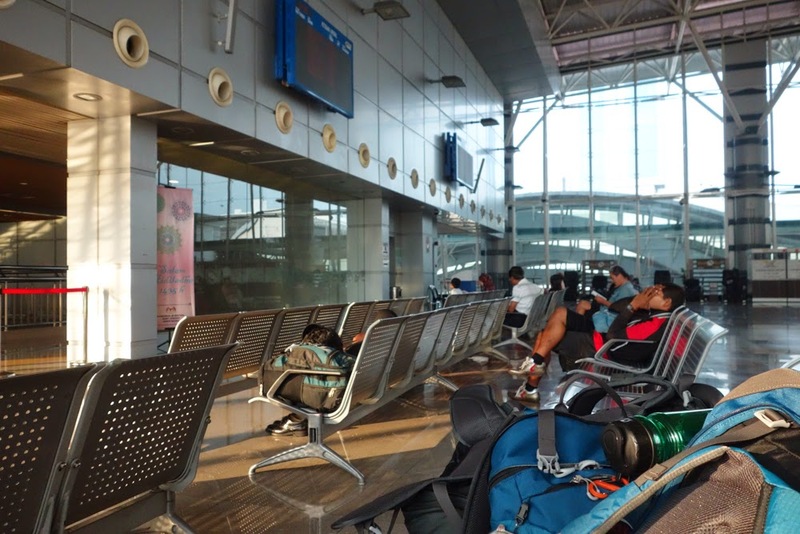 As soon as we arrived at JB Sentral Station from Singapore Woodlands, we went straight to the KMT ticket counter to purchase our onward journeys to Kuala Lumpur, Penang, and Thailand. We could have easily purchased these tickets in Singapore, but it would have been twice as expensive since we would have to paid in Singaporean dollars instead of Malaysian riggits. So we hoped to save some money by stopping over in Johor Bahru for the night and purchasing tickets in Malaysia. This turned out to be a not-so-great idea. As I described, the process of getting out fo Singapore and into Malaysia is long and strenuous enough, that you might want to just pony up the dough and stay on one train. Johor Bahru has nothing impressive to offer, and made for a rather depressive one-night stay. If you’re really smart, you will book your tickets online from the KMT website 30 days in advance. I wanted to do this but figured that we could just get tickets the day before. Big mistake. On our last night in Singapore I checked the KMT website and found that all the tickets to Johor Bahru and Kuala Lumpur and Butterworth station were booked solid for our travel dates. This caused me to go into a panic in which I almost booked bus tickets to Kualal Lumpur. Glad I didn’t because we were in fact able to reserve premium class seat on a train to Kuala Lumpur, leaving the next day at 8:35 am. We were also able to reserve two sleepers on an overnight train to Thailand. 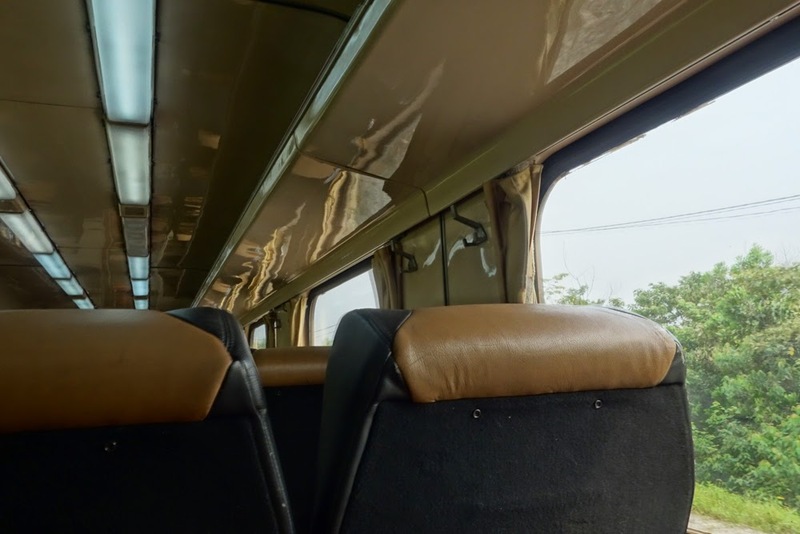 However, the train from Kuala Lumpur to Butterworth was sold out, so we will be taking a bus there (which is fine because the train arrives at 10:00 pm, an awkward time). After an uneventful night in at a hotel near JB Sentral station, we arrived an hour early the next morning for our 8:35 am train. To my surprise, even at 8:00 over half of the shops and restaurant, including Starbucks, were closed. If people can’t get coffee at 8:00 am, then what time can they get coffee? This lack of options forced us to have breakfast at KFC, which turned out to be a pleasant surprise. In JB Sentral Station one must wait on the upper floor until the security guards announce that the train has arrived. Only then do they open the red velvet ropes and allow passengers to descend to the platforms. The train looked exactly the same compared to the one we took from Woodlands the previous day, but we got premium seats this time, which were wide leather armchairs with abundant leg room. They reclaimed almost 180 degrees well, which helped me sleep through the first 3 hours of the 7-hour journey. Four hours into the journey and the AC went just out. At first I was grateful because my legs were so cold they were getting numb, but soon it became miserably hot and I wanted the numbing AC back on. 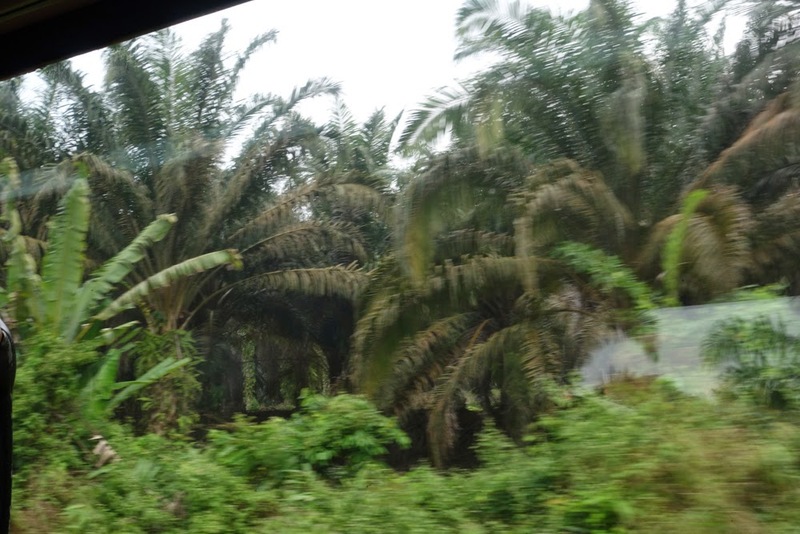 I passed time staring out the window, memorized by the endless tropical jungle sweeping by me. 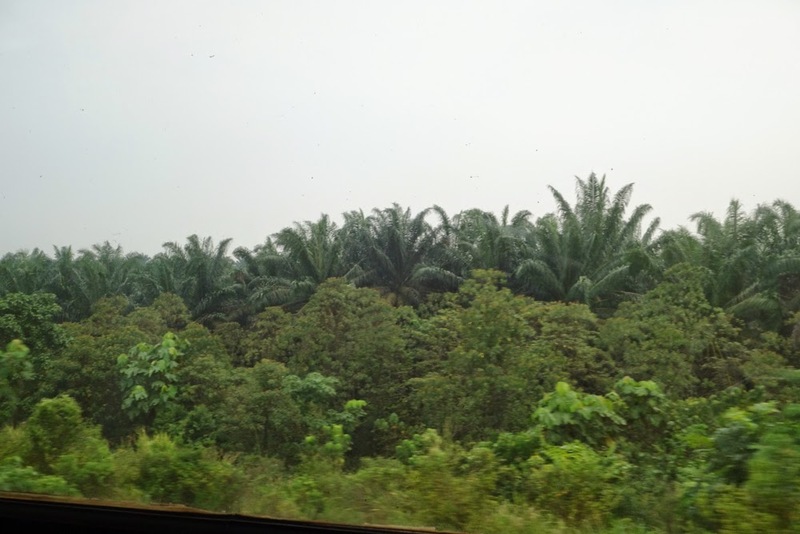 Mary Lambert’s “Ghost” came on my ipod and somehow it was the perfect background song for Malaysia’s palm tree forests, grasping desperately for the horizon. We pulled into KL Sentral at 4:30 pm, 40 minutes behind schedule.